Ios is one of the islands that claim the title of Homer's birthplace. In fact there is a monument which is the grave of Homer. 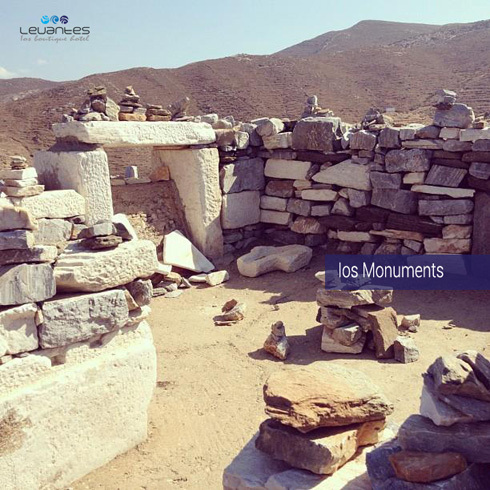 Explore more monuments in the island of Ios that are in the list bellow. Windmills were built to produce energy to grind grains and they helped in the agricultural economy, as well as in the food requirements of Ios. The Venetian Castle was originally made during the Middle Ages to protect the island from the pirate attacks, so it was a fortified area. You will find Venetian Castle ruins of Ios in the eastern part of the island on the top of the island's highest hill. Ancient tradition tells us Homer took his first and last breath on Ios and his tomb echoes with historic significance as well as beautiful surrounds. Explore Homer's tomb in the north part of the island.